UC San Diego has added several new majors that engage with real-world concerns and offer students hands-on training in solving social problems. Among these are two in the Division of Social Sciences: Business Psychology and Real Estate and Development. As they learn to plan sustainably for the 21st century and beyond, students in Real Estate and Development will carry out projects in the community and work with professional practitioners. Photo by Erik Jepsen/UC San Diego Publications. The new majors were established in response to future demand, workplace trends and alumni feedback. They take advantage of the interdisciplinary nature of UC San Diego, exposing students to a range of faculty and learning experiences across campus. The Department of Psychology in the Division of Social Sciences will offer a new degree this coming fall, a B.S. in business psychology, designed to train students to apply psychological principles to the workplace and to organizational challenges and opportunities in an increasingly diverse and international world. The major will offer a combination of training – people skills and statistical analysis in the applied science of solving business problems in an ethical manner. The new psychology major is the first business psychology degree in the UC system and includes classes offered by the Rady School of Management. The psychology department is also piloting a novel program in collaboration with the School of Medicine. Funded by alumnus Joseph Edelman, the pilot, which is planned to be launched fully in the 2018-2019 academic year, gives psychology undergraduates the rare opportunity to gain clinical experience in psychiatry. A minor in real estate and development started winter quarter, a major (a bachelor of science) begins fall 2018. Offered by the Urban Studies and Planning program in the Division of Social Sciences, Real Estate and Development evolved in consultation with alumni. It is the first undergraduate degree of its kind in the UC system. Students in the program will learn how to plan efficiently and sustainably for the 21st century and beyond, taking into account transportation patterns, mixed use of land, innovation, equity and social justice, green infrastructure, and more. “Our real estate and development program takes a truly comprehensive approach to teaching hybrid skills,” said faculty director Mirle Rabinowitz-Bussell. Students will combine skills in economics, real estate finance, physical planning and design, and data visualization and analysis, she said. 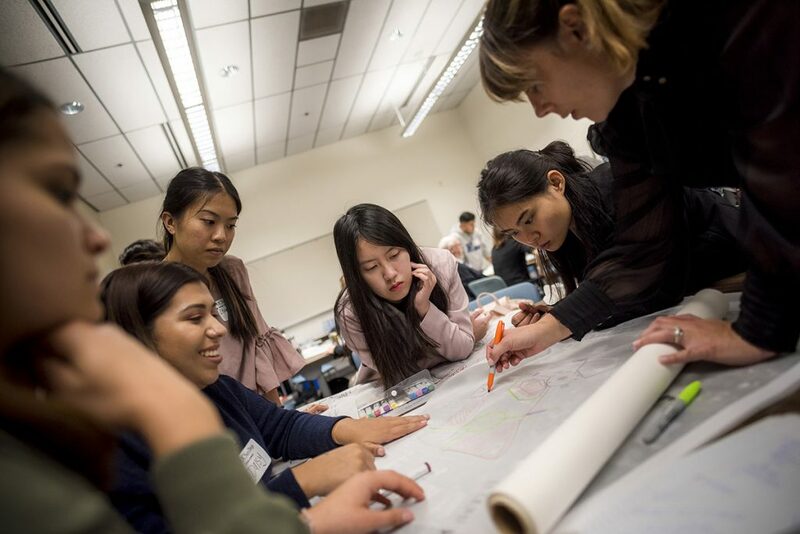 Part of what makes the UC San Diego program special, Bussell said, is that students will have ample opportunities not only to carry out projects in the community, but also to interact with and learn from professionals. The majority of the instructors in the program’s core courses are distinguished practitioners. Real estate and development, Bussell said, is currently collaborating with the Department of Economics and UC San Diego’s Rady School of Management on course offerings, and plans to add more collaborators in future. “Our students will get the best of a liberal arts education and access to all that a major research university has to offer, plus applied, real-world experience working with practitioners doing the work,” said Bussell.